Artist Stephen Lyman's campfire paintings are among his most prized pieces. "Warmed by the View" shows one of his famous precarious campsites he chose for their glorious views rather than their sense of security! 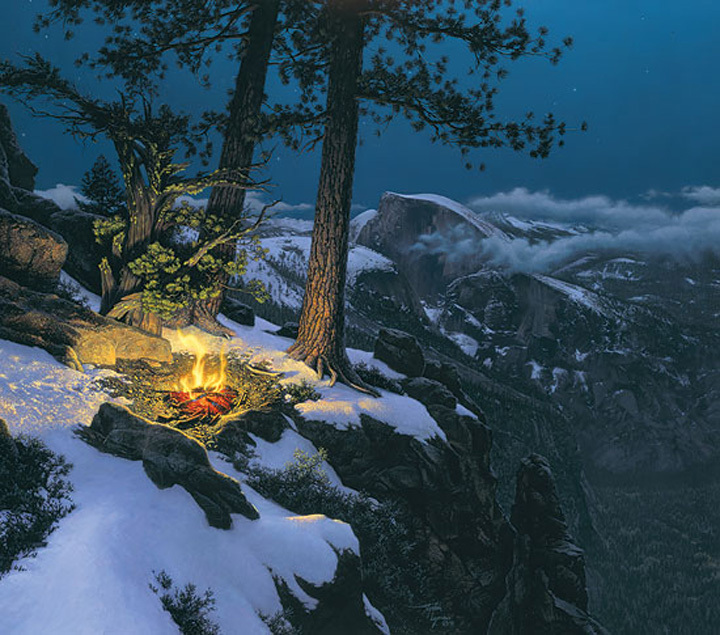 Lyman beautifully captures twilight in the Sierra Nevada mountains, the glowing campfire and the incomparable vistas of the Yosemite Valley below.